Supreme Court of India has agreed to hear two petitions challenging the Death warrant issued against the Mumbai Blast Convict Yakub Memon. One is filed by Yakub Memon and one intervening application by The Centre on the Death Penalty at National Law University, Delhi. Senior Advocate Raju Ramachandran appeared for Memon and TR Andhyarujina appeared for Centre for Death Penalty. Chief Justice Dattu told the Senior Counsel that he had already assigned the Bench and it will come on Monday. "On 27th July 2015 the Supreme Court of India will hear a writ petition filed by Yakub Memon challenging the validity of the death warrant issued by the TADA Court, Mumbai on 30th April 2015. The death warrant has scheduled Yakub Memon's execution on 30th July 2015 at 7am in Nagpur Central Prison. 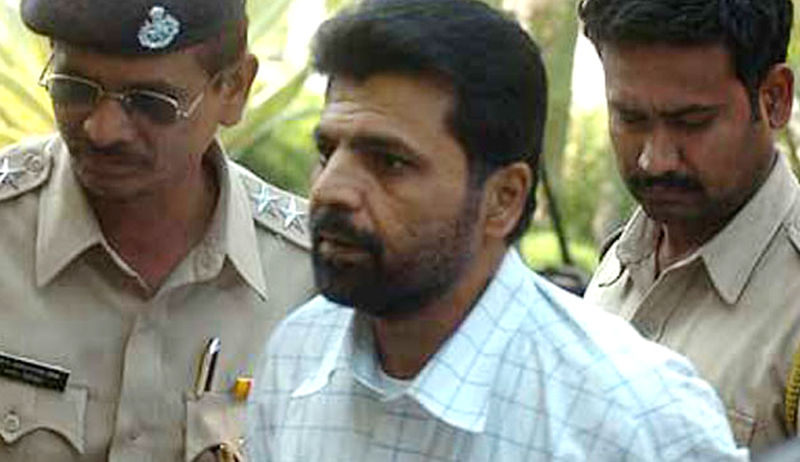 The writ petition filed by Yakub Memon along with an Intervention Application filed by National Law University, Delhi through its Death Penalty Litigation Clinic will challenge the validity of the death warrant on the grounds that the protections available to death row prisoners during death warrant proceedings (as laid down by the Supreme Court in Shabnam v. Union of India in May 2015) were violated by the Government of Maharashtra". It was Yesterday Yakub Memon, convicted in the 1993 Mumbai serial blasts, approached the Supreme Court challenging the death warrant for his execution which is scheduled on July 30. According to his new plea the Death warrant is illegal because it didn’t follow proper procedure prescribed by the Supreme Court in Shatrughan Chauhan & Anr. v. Union of India & Ors.. In this Judgment Supreme Court held that Article 21 inheres a right in every prisoner till his last breath and this Court will protect that right even if the noose is being tied on the condemned prisoner’s neck. Relying on the above Judgment Supreme Court had recently quashed the death warrant issued against the Death row couples Shbnam and Saleem [Shabnam v. Union of India & Anr. and National Law University, Delhi through Death Penalty Litigation Clinic v. Union of India & Anr. The bench asked the SG to think about it and give an answer to the court. Kumar said of late, it had become a trend. “A condemned prisoner files mercy petition before the President or the governor. When it gets rejected, he moves the constitutional courts alleging that his mercy petition has been rejected without proper appreciation of facts and circumstances. When that petition gets rejected, he again moves another mercy petition. And the cycle is continued,” he said. “We will come to a situation when there could never be finality to cases in which death penalty has been imposed by the courts after thorough examination of facts and circumstances. This cyclic process of filing mercy petitions and moving the courts is meant to frustrate the process of law by not allowing a case to reach finality,” the SG said. “Since none of the grounds stated in the curative petition would fall within the parameters indicated in the case of Rupa Ashok Hurra (Supra), the curative petition stands dismissed,” the bench, also comprising T S Thakur and A R Dave, had said.